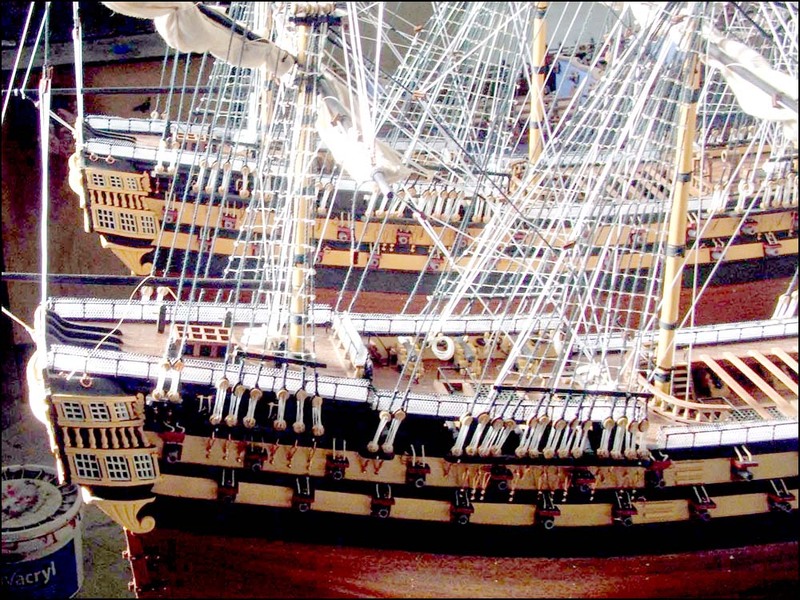 A rare classic and highly detailed historic ship model of the French Napoleonic era. A true masterpiece proof of our degree of craftsmanship. This is a parade barge with oars dating back to the 1st and 2nd Empire. It is an authentic witness to the imperial period. The Canot Imperiale is extensively and richly decorated and was built in Antwerp in 21 days. Having been used only a few times by Napoleon 1st and Napoleon 3rd, it was brought back to Paris at the Palais de Chaillot, at the Museum of the Marine, where it is still being exposed.